In this photo my little troublemaker has gotten her paws on a sock someone carelessly left on the floor. 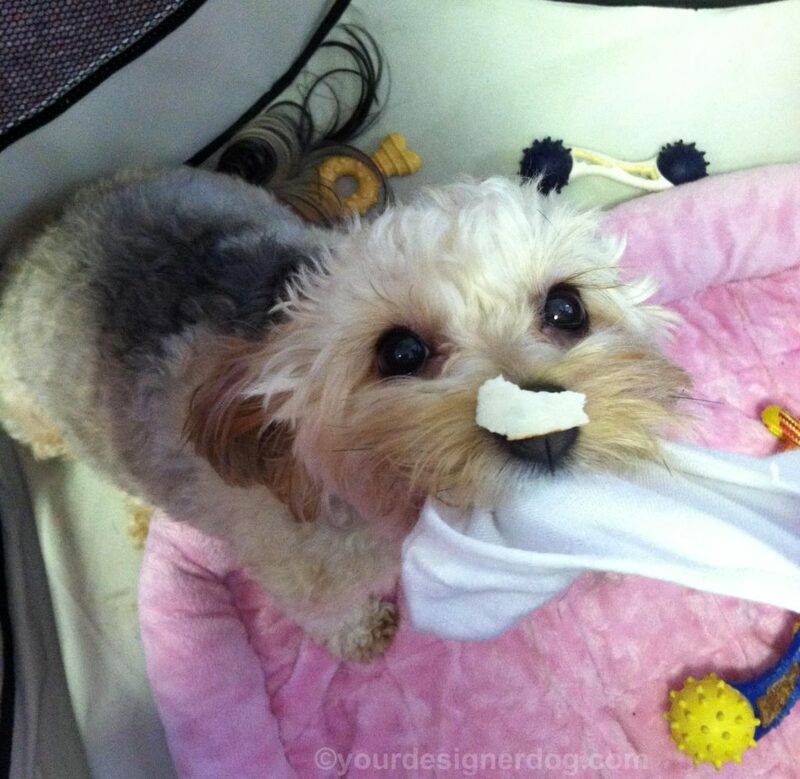 On her nose is piece of cheese that I was trying to use to distract her from the sock. As you can see, she is not planning on letting anyone or anything come between her and that sock.